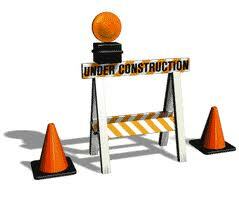 Falvey Memorial Library :: Library Construction Alert: Falvey World History Collection to move to new onsite location! Library Construction Alert: Falvey World History Collection to move to new onsite location! This summer Falvey Memorial Library will start a building renovation project with the goal of transforming the Library into a more inviting and welcoming space. During the first phase of this project, the second floor will be completely gutted, except for the Special Collections room. In preparation for this phase, all current second-floor books will be relocated to the former bound-periodicals stacks, located in the Old Falvey section of the building. While this move in no way affects the American history collection, most D call numbers, with the exception of African and Australian history, will be moved into Old Falvey. Clean-up work in Old Falvey has already started. Facilities Management staff will rehab and repaint the Old Falvey stacks to make them more inviting and conducive to shelf browsing. While the Library will do its utmost to keep its collection accessible while it is in transit, there may be some short periods of interrupted access. Be prepared for noise or messiness when you visit the Library over the summer. All heavy-duty construction should be completed before the fall semester begins. Please feel free to contact me with any concerns that you may have.